Why Pay for Gap Year Counseling, When You Can Just "Google It’’? It’s no secret that there is a LOT of free gap year advice on the Internet. You can also get free advice from your friends, family, teachers, and college counselors. So why PAY for a gap year advisor, when you can just “google it” or ask someone? 1. We’re experts on managing risk while abroad. Having worked with hundreds of students pursuing experiences abroad, we’ve supported students and their parents during serious emergencies and conflicts. When it comes to preparing gap year students, we spend significant time going over strategies to mitigate risk and prioritize health and safety. And we don’t just recommend any program. We take the time to fully vet each one of our recommendations, reviewing program safety protocols, considering the risks, and interviewing program staff. We also regularly connect with the US Department of State through workshops and conferences. We also consistently monitor nationally mandated travel warnings from the US, Britain, Australia, and other notable sources in order to stay updated on emerging political situations that may impact our current and future students. 2. We provide you with your Adventure Guide, a personally customized e-book that includes your itinerary recommendations, health and safety advice, packing lists, scholarship opportunities, and more. With so much info and marketing material out there, it can be difficult to decipher the differences between programs and determine which one is right for you. As unbiased counselors, we know which programs consistently deliver quality and transformative experiences to students. Not interested in an organized program? We also recommend independent work and travel experiences that you didn’t even know existed. As accredited counselors of the Gap Year Association, we stand for integrity, leadership, value, service. 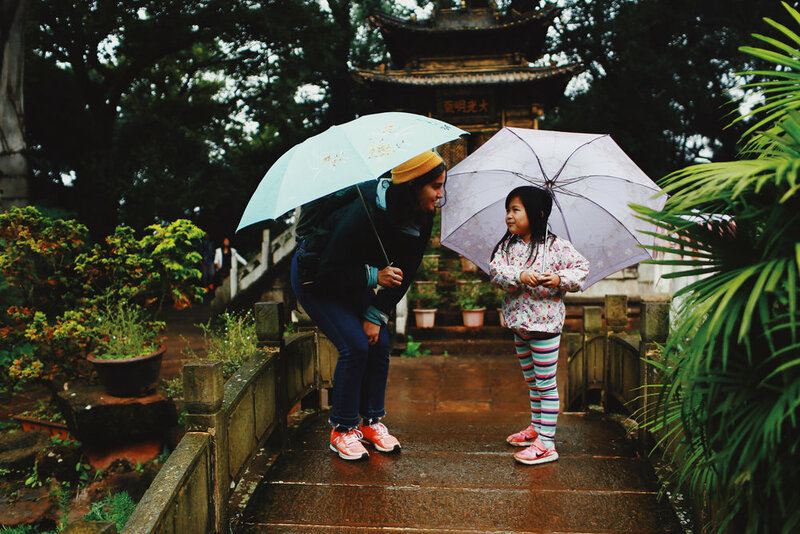 At Intercultural Adventures, we take the time to get to know students’ and families’ needs, interests, academic and professional goals, in order to help craft an ultimate gap experience that maximizes the student’s time and resources. 4. We have 20+ years combined experience in higher education and study abroad. We have worked in multiple college campus environments and know what it takes to truly flourish in college.Through the experience we’ve gleaned working closely with career counselors, professors, study abroad resident directors, parents, and students, we get students started on the path towards college success from our first counseling session. And not only have we worked in higher education and study abroad, we’ve also been gap year students ourselves! Both of us self-financed our gap years through teaching English, tutoring, and babysitting. We know what it takes to thrive while living, studying, volunteering, and/or interning abroad (all while on a tight budget!). Free advice on the Internet isn’t uniquely tailored to your goals, budget, background, and personality. We provide counseling that helps students define their goals and priorities, narrow their personal and academic interests and location preferences, and determine a realistic budget. We continuously monitor our families at each stage of the process (organization of gap time, selection of programs, applications, acceptances, confirmations, and pre-departure preparation). We are here to help students’ navigate college deferral policies, prepare students for college or gap year program interviews, and to provide logistical advice and expertise on health and risk management. 6. Intercultural Adventures offers holistic counseling: We believe that closing the loop between a gap experience and entering college or pursuing graduate school or a career is extremely important. As part of our Fully Customized Gap Experience Package we offer Gap Impact: an online course designed to help students translate their gap experience into future academic, professional, and personal success. Gap Impact gives students the tools needed to reflect on the meaning of their gap experience, articulate the skills they gained from it, and integrate their unique experiences into career development and/or choosing their undergraduate or graduate academic concentration. Even if you do not purchase this package, we always do a post-gap evaluation call or meeting with our students and offer pre-college/transition advising when students return. Planning a gap year is a journey. Let us help you start yours now! Reach out to schedule a complimentary Exploratory Call with us today.